Papua New Guinea, a country of over 8 million people, is looked after by less than 30 anesthetists, half of whom are still in training. Not coincidentally, I have actually met every anesthetist in Papua New Guinea. 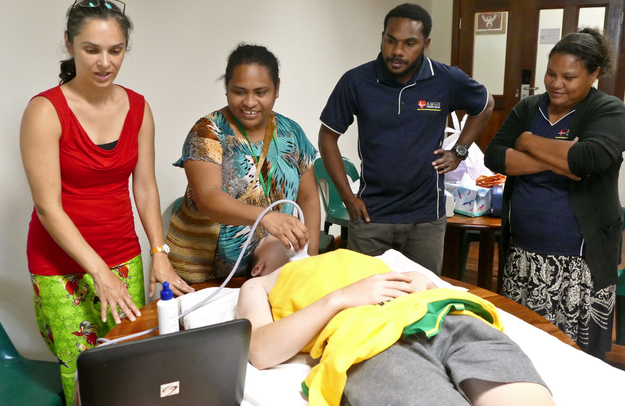 This year, the 54th Medical Symposium was held in Madang in Papua New Guinea. More than 600 delegates attended, including medical and nursing professionals. The theme of the meeting was Rural Health. 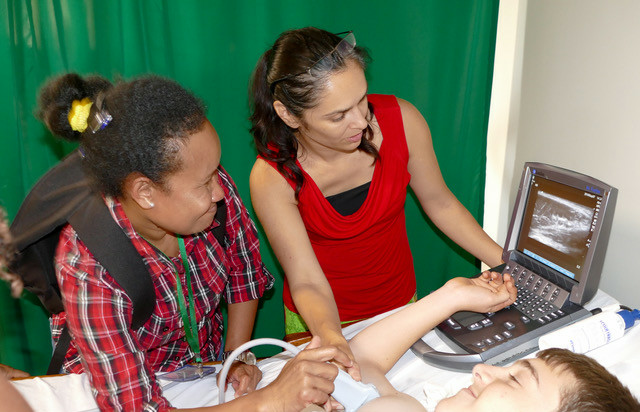 We took four SonoSite M-Turbo ultrasound machines with us, supported by clinical sonography educator Lynette Hassall from SonoSite Australia, and SonoSite Australia’s managing director Greg Luck. Also traveling with us was a consultant anesthetist who is a colleague of mine, my senior registrar, one of our anesthetic and recovery nurses, and my family (you can see my son participating as an ultrasound model in some photos). We held workshops with the Anesthetic Society about ultrasound-guided regional anesthetic techniques, including peripheral nerve blocks, the erector spinae block, and also the use of ultrasound for airway assessment. "We also ran a workshop on peripheral nerve blocks and erector spinae blocks at the Rural Doctors Association. So why did we choose peripheral nerve blocks, erector spinae blocks, and airway assessment as our main training foci? 01. First, the location. Papua New Guinea has very limited access to medical supplies, including drugs and supplemental oxygen. It’s smart to try to avoid using general anesthetic for a surgical procedure where a regional nerve block will suffice. 02. Papua New Guinea has a high rate of drug-resistant tuberculosis, which can easily infect in a theatre. Bone fractures are common, due to accidents, falling off palm and betel nut trees, and due to high rates of violence. The erector spinae nerve block provides excellent, safe analgesia for these patients, who might otherwise require ICU admission… and there are hardly any ICUs in the country. 03. Roughly 85% of the population in Papua New Guinea lives in a rural area, far away from a hospital. Combine the remoteness with lots of accidents, and you can see why being able to provide analgesia for various bone fractures is a very useful skill in this environment. 04. Papua New Guinea has the highest percentage of oral cancer in the world. Pre-operative airway assessment is of utmost importance. Unfortunately, CT and MRI scanners are pretty much non-existent in the country. Therefore, anesthetists are usually unable to assess the extension of oral and neck cancers. Not knowing what you’re dealing with when intubating a patient can be life threatening. Additionally, many of these patients require a tracheostomy; assessing the trachea with ultrasound beforehand helps to avoid unwanted surprises and allows surgeons to prepare for each patient’s specific case. The theme of the meeting for next year will be “Clinical Education” and we hope to be able to continue providing teaching and training in this fascinating, but sadly forgotten, part of the world. Anesthesiologists and nurse anesthetists are increasingly using ultrasound-guided needle placement to improve operating efficiency while decreasing placement complications and patient discomfort. 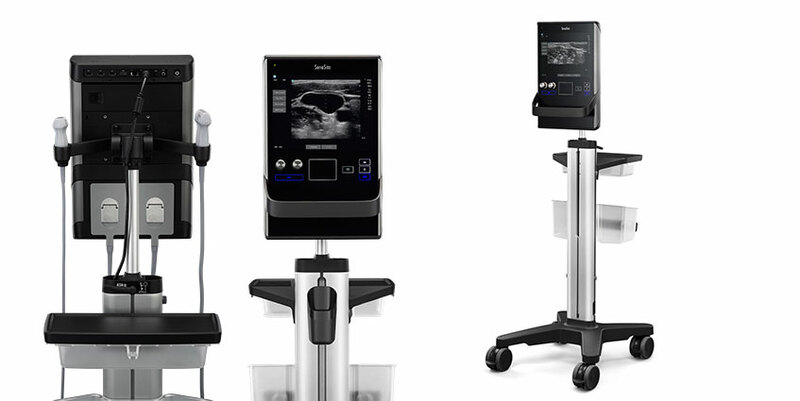 Learn about how point-of-care ultrasound can help anesthesiologists and nurse anesthetists and what ultrasound systems they choose.